The media and Internet seem to put Moms into two categories: good moms and bad moms. Hollywood is even getting in on this game, with the release of the movie Bad Moms, and fueling the idea that women belong exclusively in either group. You get the idea. “Good” moms are June Cleaver-types. These mythical creatures (I have yet to actually see one) are always pleasant with their children (they never yell), and know how to cook nutritious (organic, locally produced) meals. They keep their homes (and often their own bodies) shipshape and don’t ever let the laundry pile up. The “bad” moms are, well…the other ones—those that work too much, barely manage to cook or clean the house. They’re frazzled, sometimes disheveled, and often quite short tempered with the kids. Yet actual moms rarely fall squarely into these tidy categories. Instead, moms tend to weave in and out of these archetypes. Of course, no one wants to be a bad mom, but few can meet the demanding criteria of what it takes to be a good mom these days. That’s why I think we need a new category: The Reasonable Mom. 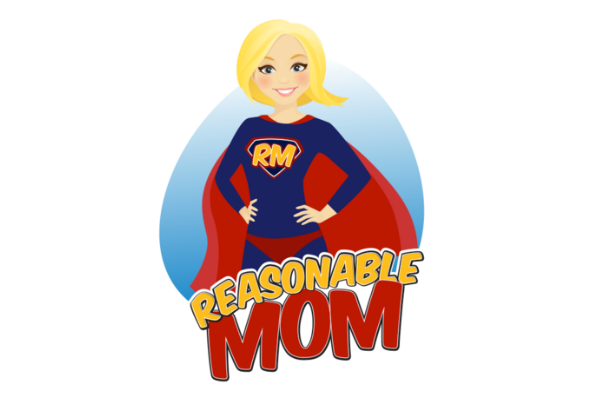 Reasonable moms make some mistakes, but they try to do their best with the resources and time they have. They guiltlessly take short cuts when it comes to feeding their kids, while still trying to make nutritious choices most of the time. They scan but don’t obsess over the latest parenting studies and expert-provided guidance. Reasonable moms find parenting exhausting, entertaining, frustrating and rewarding all at the same time. They need some time for themselves too and don’t want to spend every minute with their kids. And they know kids need space and unsupervised time to just be kids too. Reasonable moms reject dogmatic allegiance to any particular parenting style, preferring instead to borrow from this strategy and that approach. They might hover over certain things their children do, while choosing a more free-range approach with other activities. They’re the “do what needs to be done to meet the demands of the day” types who generally dismiss calls to “mother better” and “mother harder,” which is the message promoted by so much of the blogosphere. It isn’t always easy to be a reasonable mom: the crushing pressure to pursue the impossible ideals of parenting can be hard to ignore. And now, shame is utilized by certain mommy bloggers, health advocates and activist organizations to push moms into spending and doing more for their children. This pressure on parents exacts a big toll. Kids are growing up more cosseted than ever before. Parents are more stressed and miserable. Families are struggling to meet the economic costs associated with modern parenting success, spending more money than necessary on overpriced specialty foods and chemical-free alternatives that are actually no healthier or safer. And our society as a whole suffers too. Studies increasingly show a connection between over-parenting and increasing cases of anxiety and depression among college students, who simply cannot transition to independent life. Childhood obesity continues to be a problem, in part because of confusing messages about food and nutrition. Parents are too often heeding the advice of online “experts” who are really profiteering from needless fear about food, medicine, agriculture and manufacturing, overlooking solid and sensible guidelines based on sound science. How much longer will parents stand for this untenable and entirely unpleasant reality? Reasonable moms (and dads) need to push back on this parenting trend and expose the thriving industry built on making them feel inadequate, lazy, and underperforming. It’s time to put an end to this. Let’s all embrace rationality and common sense. Let’s reject the sputtering conspiracy theories of online activists. Let’s bring joy and normalcy back to parenting. Let’s all strive to be reasonable moms.